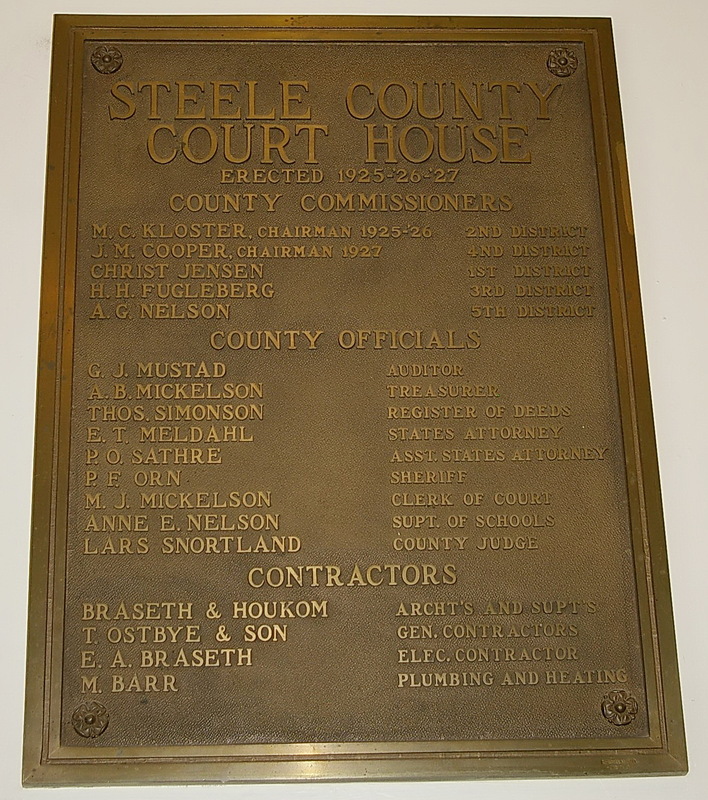 Steele County is named for Edward H Steel of Minneapolis ( 1846 – 1899 ) who was secretary-treasurer of the Red River Land Company which was largely responsible for the establishment of the county. 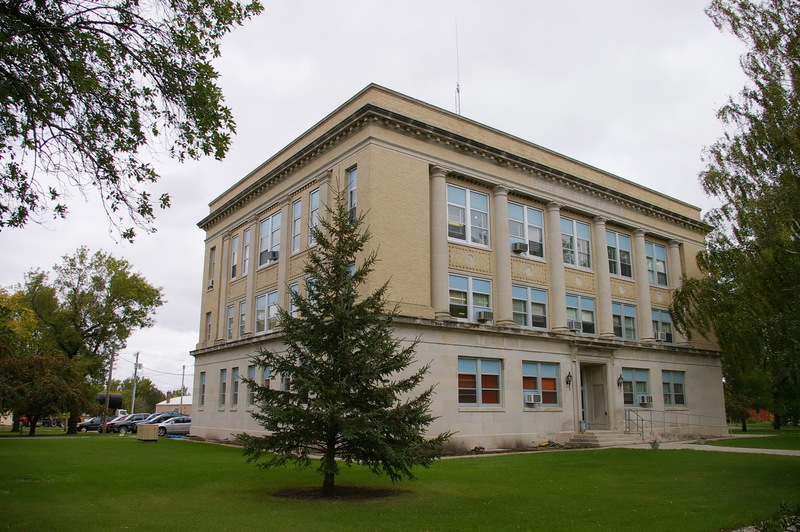 Description: The building faces south and is a three story buff colored brick, stone and concrete structure. 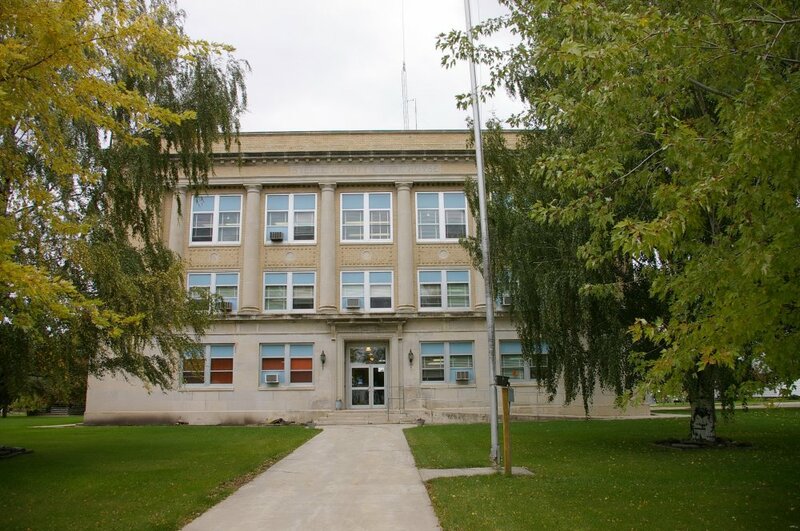 The building is located on spacious landscaped grounds on the north side of the center of the city. The rectangular shaped building is 89 feet by 64 feet and has Indiana limestone on the first level. 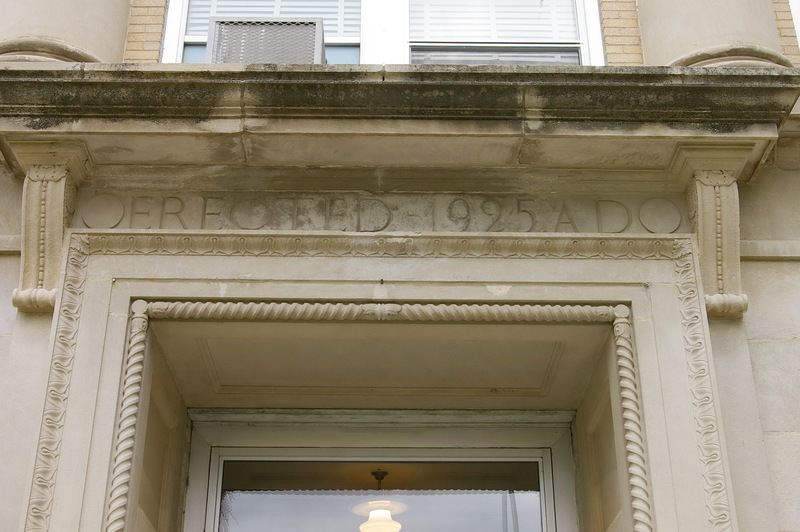 Load bearing hollow tile brick supports the building. Six stone columns rise from the second to third floors on the south and four stone columns rise on the east and west sides. 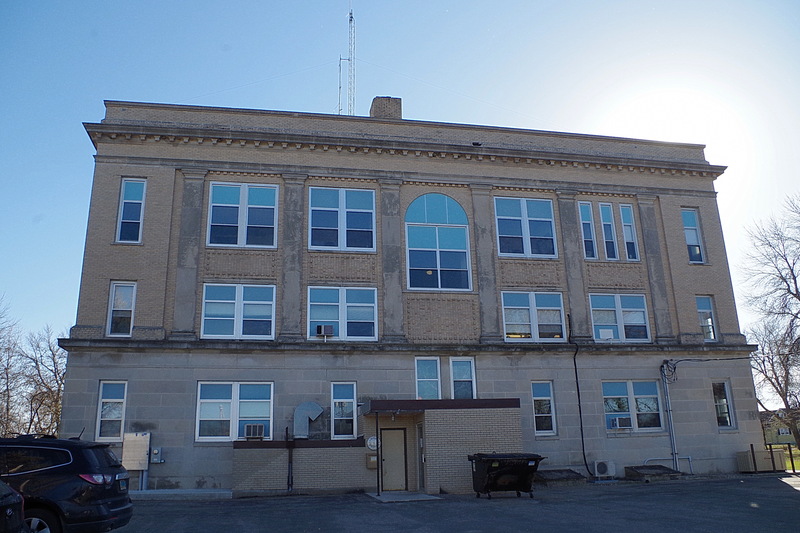 The windows are set between the columns and the roof line is flat. Interior decoration includes floral medallions in the vestibule, terrazzo floors, and the stairway and column bases sheathed in marble. 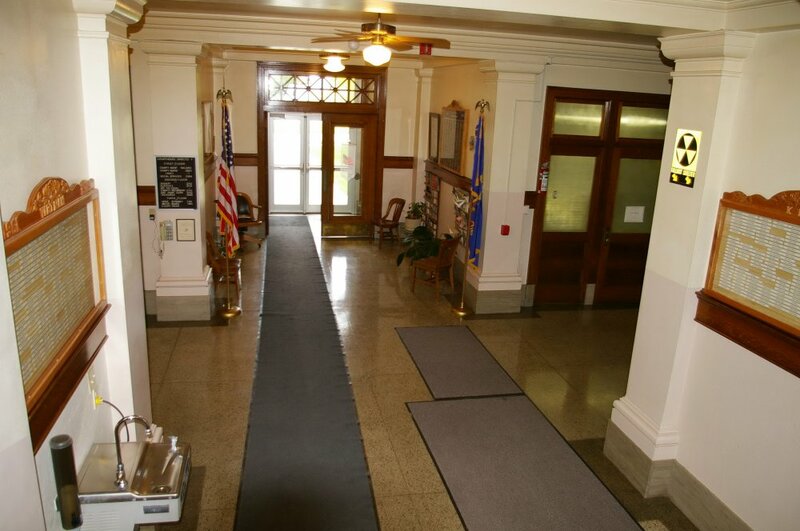 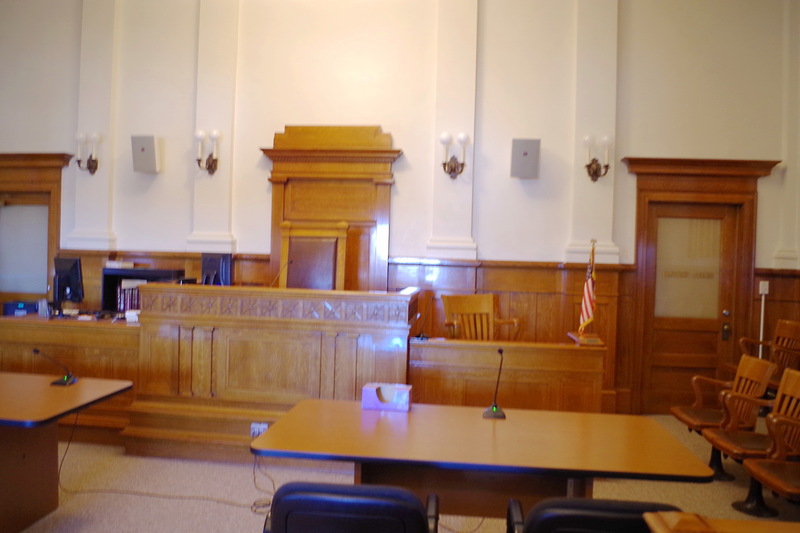 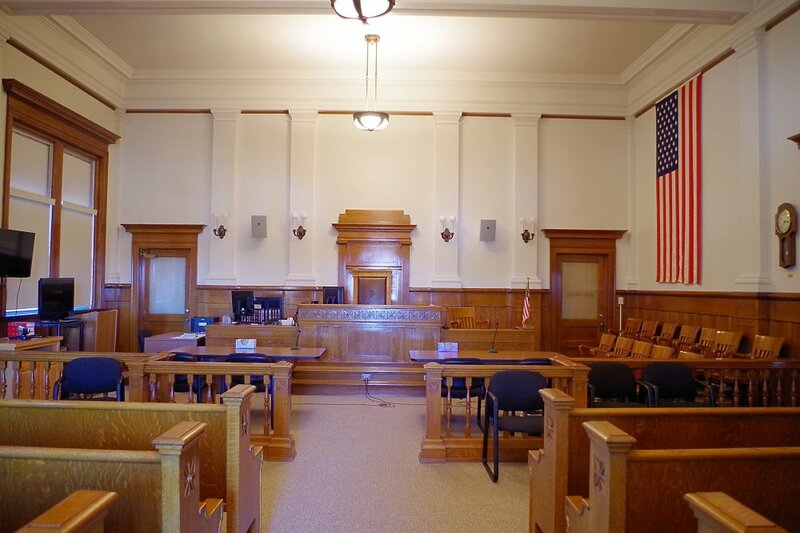 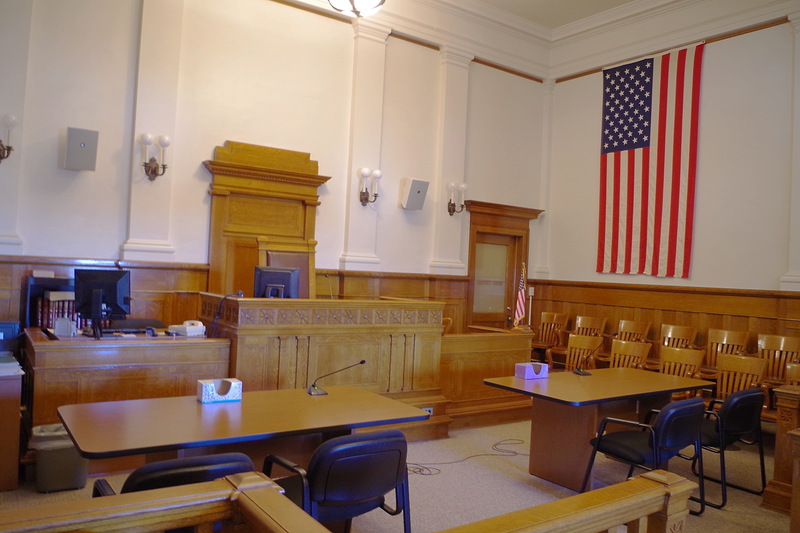 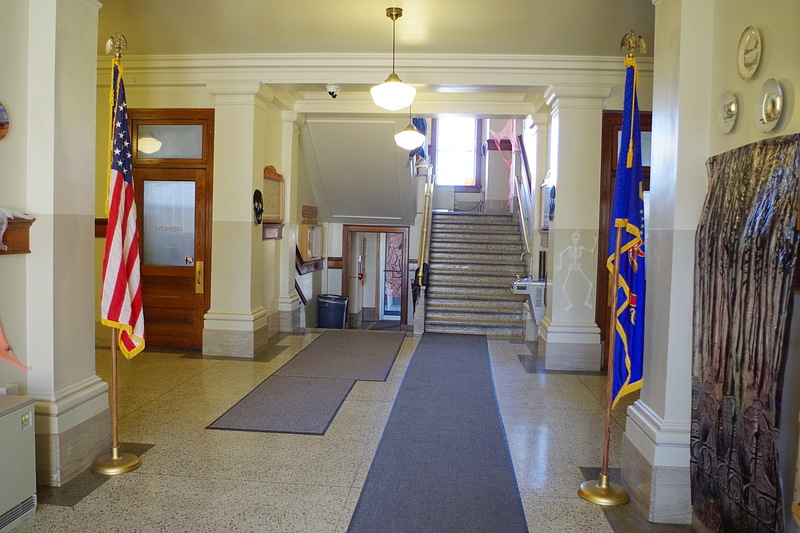 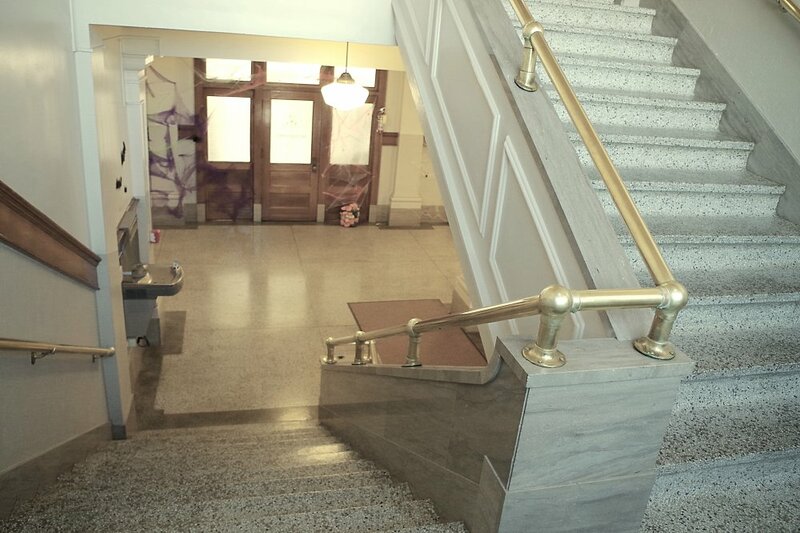 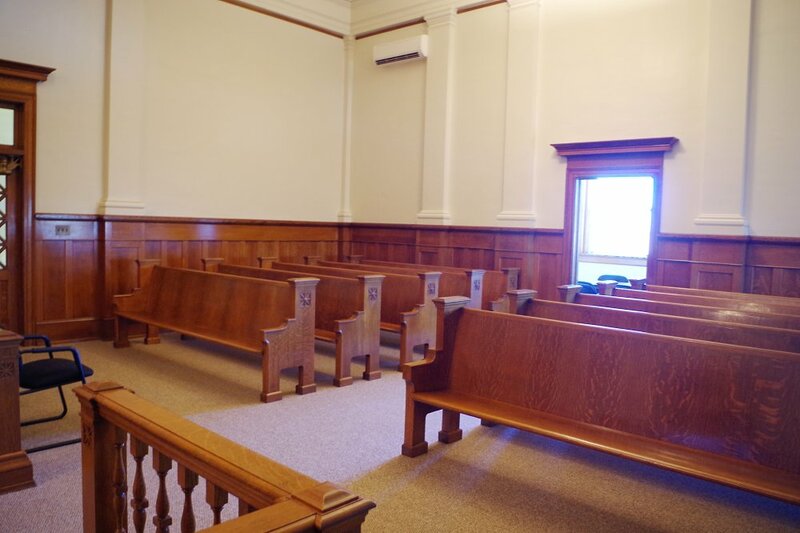 The courtroom is located on the east side of the third story with high ceilings. 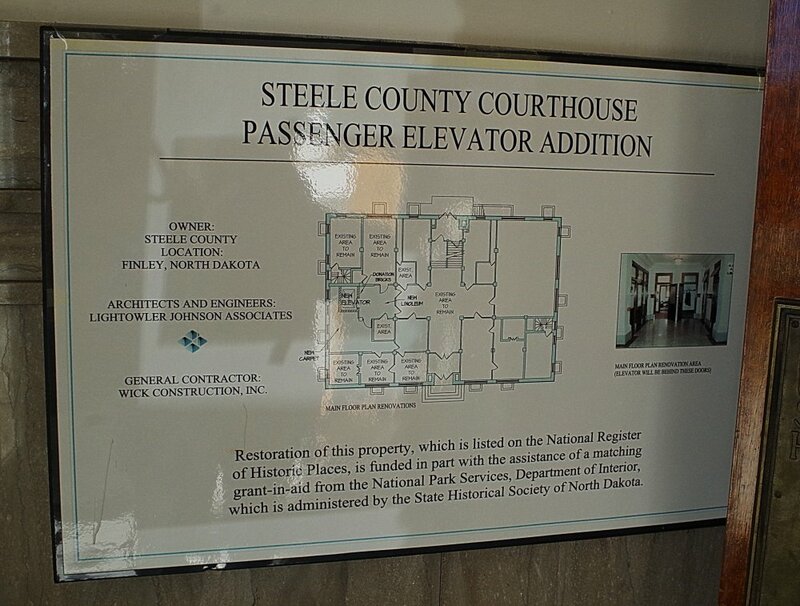 A passenger elevator was installed. The architect was Lightowler Johnson Associates and the contractor was Wick Construction Inc. 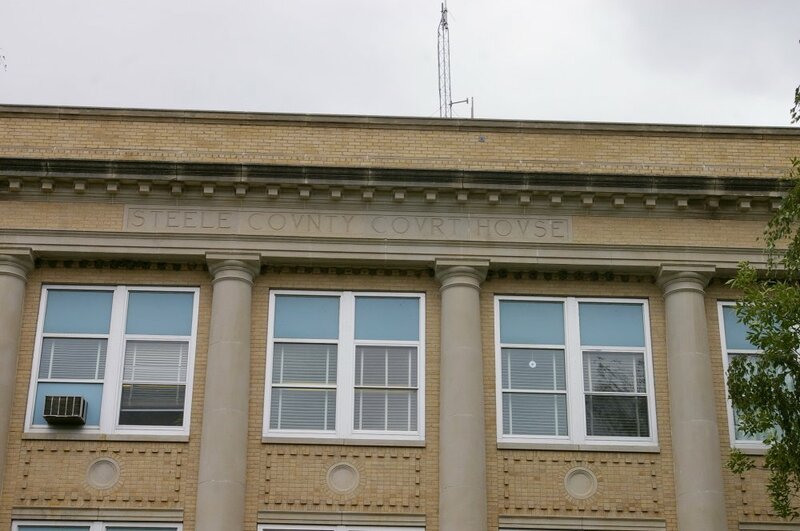 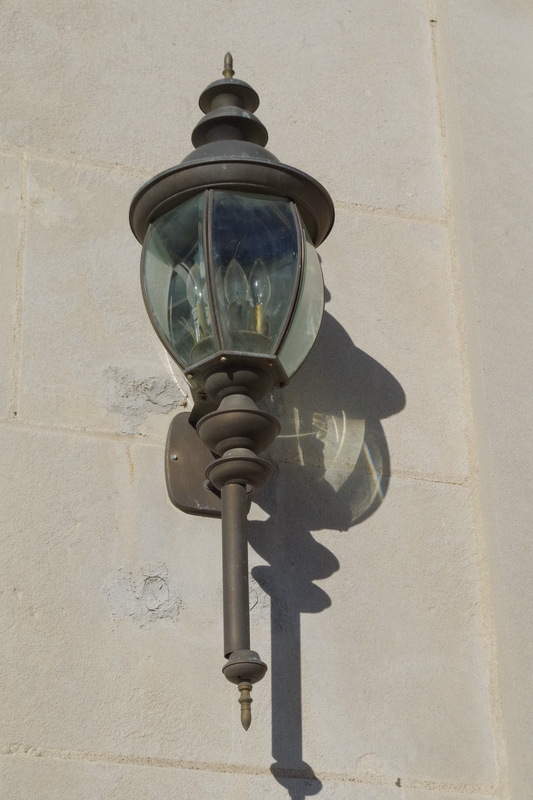 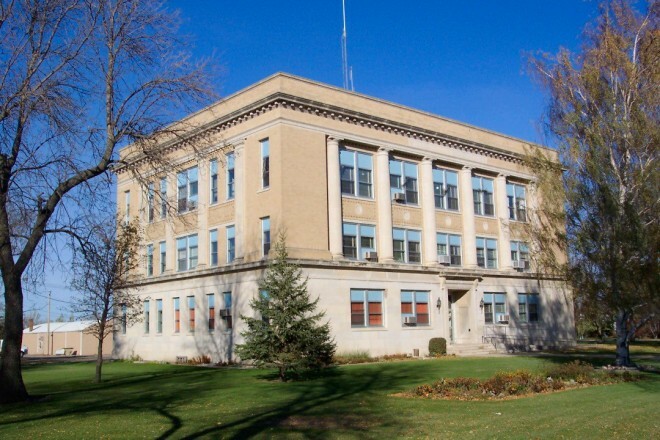 Note: The Commissioners set aside $85,000 for the construction of the courthouse.